The same could be said of the delightful music of Delibes, a Parisian composer who managed to avoid the feuds that the Parisian organists of the time were busily having with each other, while Lemare – who played at the opening of the “New City Organ” at the Albert Hall in October 1910, perfected the art of the one-man orchestra. He played the Overture to Tannhaüser on that occasion, so it is good to have his performance repeated just 108 years later. 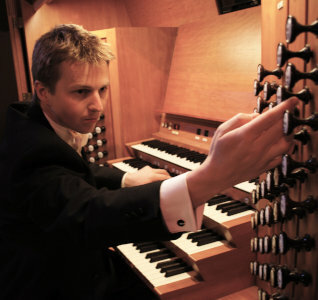 And making its first appearance at the Albert Hall as an organ piece is his arrangement of Romeo and Juliet, no less. A more exotic piece comes from onetime organist Albert W Ketelbey, who went on to become one of the wealthiest composers in the country. Mozart’s piece demonstrates why the organ is known as the King of Instruments, while the programme is completed with two virtuosic French pieces: Dupré’s acrobatic Prelude in G minor and its bouncy Fugue, and Marcel Lanquetuit’s rousing Toccata.